Home > Pets > [Pet Lovers Centre Singapore] Here’s a brand that we’re sure you’re familiar with – Eukanuba! 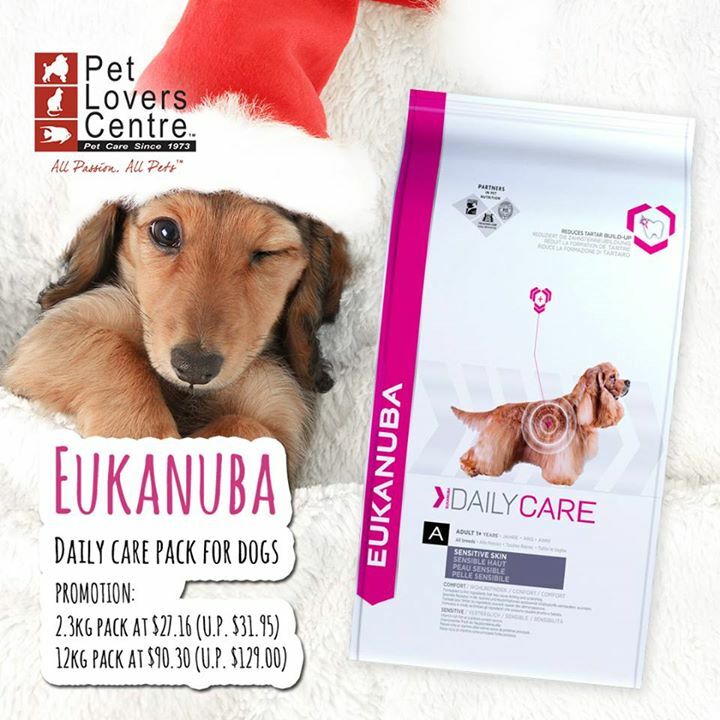 [Pet Lovers Centre Singapore] Here’s a brand that we’re sure you’re familiar with – Eukanuba! The daily care is made with ocean fish as the primary protein source and is formulated to limit ingredients that may cause itching and scratching. It is excellent for promoting strong natural defences and providing a healthy skin and coat with a clinically proven ration of Omega 6 and 3 fatty acids. With 3D DentaDefense technology that cleans with every bite, reducing tartar build-up. Next: [6pm] Holiday style you need (up to 70% off)!